Last weekend I traveled about 250 miles south of the Arctic Circle in Siberia to the city of to Yakutsk. Yakutsk is a city of about 250,000 people and is pretty remote; it is about a 7 hour flight from Moscow, mostly over thousands of miles of snow and ice. Typically it gets to -40C and is usually in the news for being the coldest place on Earth (or Mars). Not the place you would expect to find a thriving startup ecosystem. 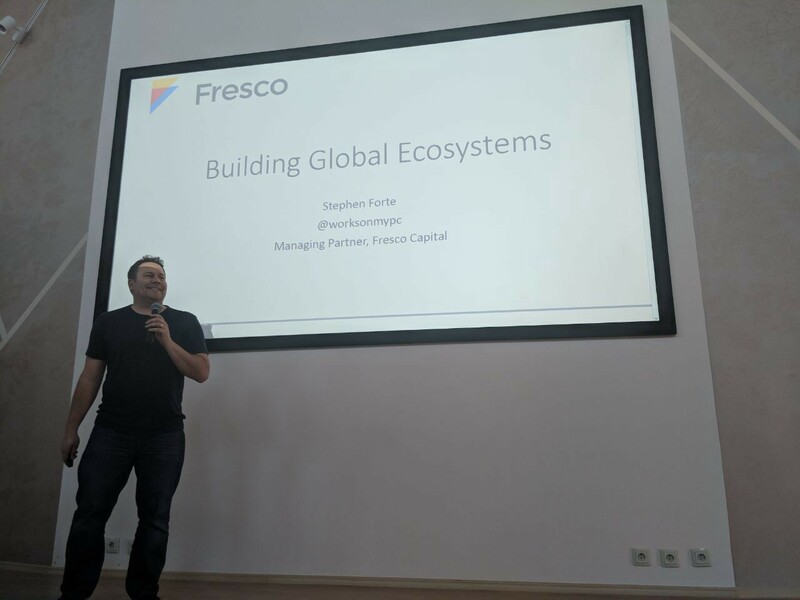 Fresco came to Siberia to visit the local startup and tech ecosystem. The local Venture Company and government invited Fresco Capital to host a hackathon, startup pitch event, and an ecosystem lecture series. We spent a lot of time in the local ecosystem and learned a lot of amazing things. Our first stop was a meeting with Anton Safronov, Minister of Investment and Enterprise for the Republic of Sakha (Yakutia) where Yakutsk is the capital city. Anton was an impressive guy, in his mid 30s, international (undergrad at Harvard, masters at MIT), and motivated to bring the digital economy to Siberia. The province is the size of India, has only 1 million people, but has tremendous natural resources like diamonds, gold, natural gas, and oil. They don’t need any help in those industries and if you want a mining or construction job, Yakutia is your place. The challenge is to diversify and build the tech ecosystem. Anton is the right person for that job as he is the one who got the original ecosystem players to attend the MIT REAP program where they all met me last year. Anton also came to the opening of the hackathon. The hackathon was themed “Think Global” and had over 100 people participate. We had great diversity with 25% of the participants being women (and two all-female teams) with some people flying in from all over the region to participate. The results were amazing. 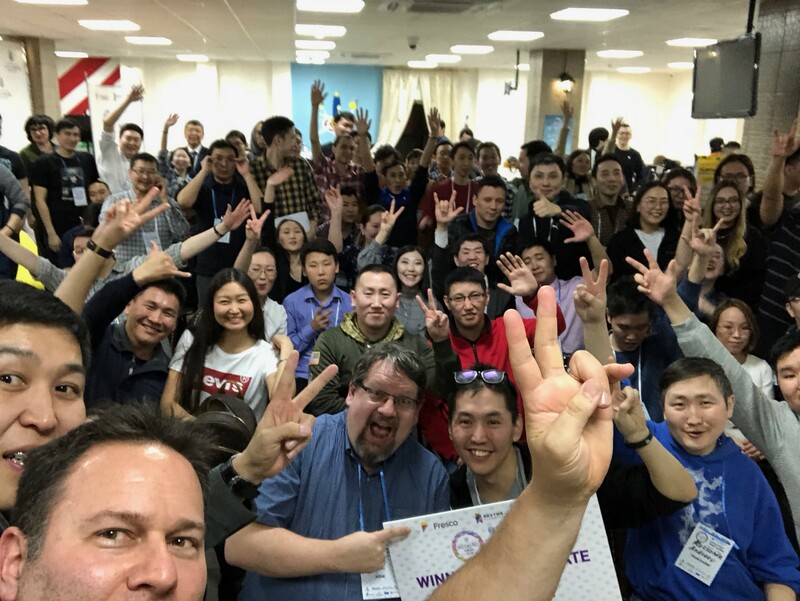 A total of 13 teams presented for the judges (going for the $1000 prize) and most played to the strengths of the Yakutia region while looking for a global appeal. The winner was a blockchain based distributed messenger service as Telegram has been in a dispute with the Russian government. Most projects were ambitious and some standouts were social media tools to manage comments on large sites, social media projects around engagement, travel, VR, and EdTech. As the largest tech employer in town is a very successful gaming company, there were a few impressive game teams as well. Speaking of games, the largest and most successful tech company in town is MyTona, a mobile gaming company. MyTona was founded in 2012 by twin brothers Alexey and Afanasey Ushnisky. MyTona’s top games The Secret Society and Seekers Notes have more than 50 million downloads and are consistently in the top 20 grossing iOS games worldwide. We visited their office and they have over 300 employees building the games right in the middle of Siberia! MyTona could not find enough game developers in Siberia, so they train them after hiring them. A supporter of the local ecosystem, it also tells you that you can build a high performing startup anywhere. We also visited the offices InDriver, a peer to peer ride sharing app also based in Yakutsk. Different than Uber insofar as most drivers are everyday drivers looking to pick up someone to carpool and make a little extra money. They compete head on with the big players in Russia and Central Asia and serve over 10 million rides a day. They too have about 300 employees in Yakutsk and recently closed a Series A. 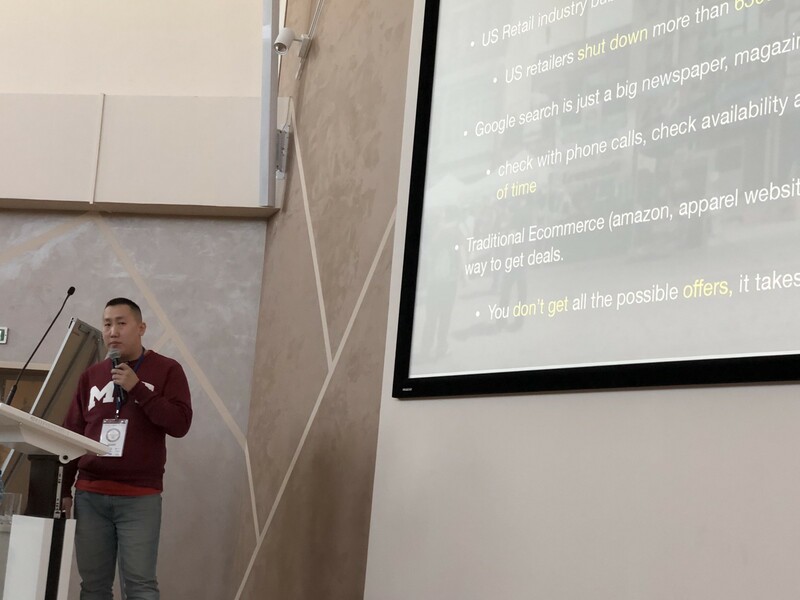 We also had a startup pitch event where we met 10 local startups as well as visited Technopark, the IT park, co-work space, and incubator all rolled into one. All of the successful local startups we saw were ones that played to the strengths of Yakutsk but were focused globally. A lot of bio-tech (many unique plants and animals are nearby), export (tea and legal Mammoth bones), and cool things like vertical farming and fishing, as well as cooking flour made from fish bone. The startups are all early stage, but most have a clear path to try to get to the level of success of MyTona and InDriver. Of course we couldn’t go to Siberia and not have a little fun in the ice and snow. 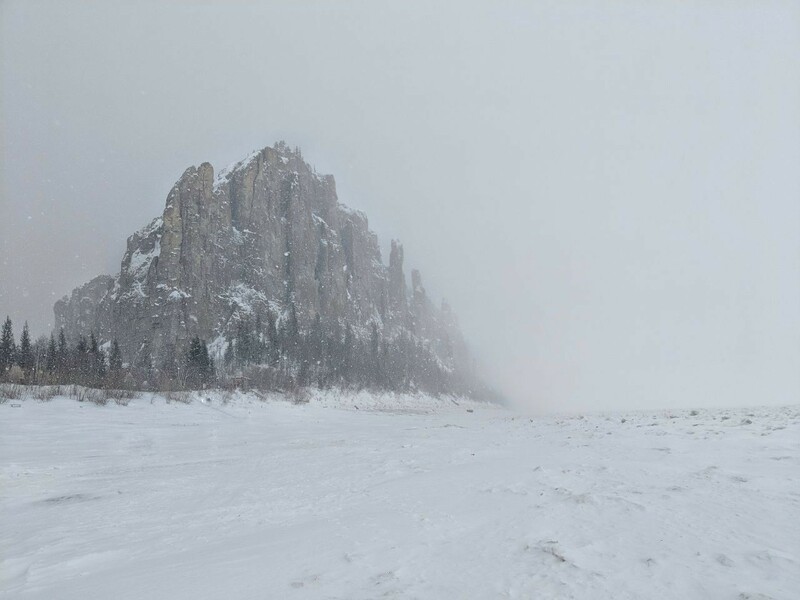 The organizers took us out to the Lena Pillars Nature Park, or the place the Game of Thrones producers got inspiration for “The Wall.” To get there we had to drive for about 3 hours on a winter ice road on a frozen river. After we arrived we hiked up about an hour to the top and took in the scenery. Of course it was about -25C/-13F and snowing. But it was worth it. Our trip to Siberia was full of surprises. There is a lot going on in ecosystems around the world and Siberia is no different. 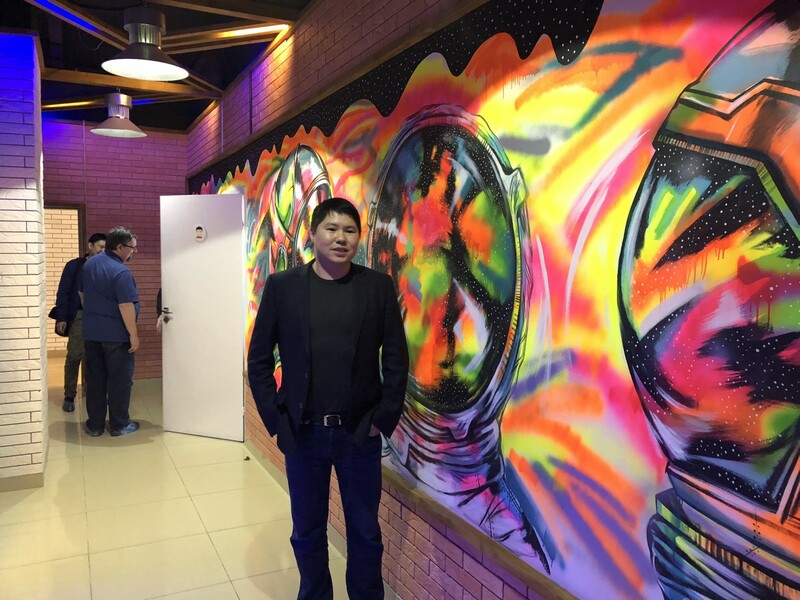 The tech ecosystem in Yakutsk is proof that you can build great global startups anywhere.